It happens every year. It never fails. We reach the end of the school year and a fourth grader excitedly comes up to me in the hallway. Student: When do we get to take our flutes home?! Me: Flute? I don't have any flutes.Student: You know those things, what are they called? Now, mind you, I have been calling those things RECORDERS multiple times during each class since October and this child still doesn't know the name of the instrument. This same phenomenon is true for orchestral instruments. Thank heavens for Squidward, we now get clarinet right most of the time. What is a music teacher to do? My students have had greater success in correctly identifying instruments of the orchestra, both aurally and visually, since I have built these 3 things into my curriculum. 1. Map Out a Plan to focus on specific instruments for each grade level based on the resources and field trips that are available. That way, students aren’t trying to memorize 25 instrument names all at the same time. In my district, we are fortunate to take all second graders to a performance of Carnival of the Animals, third graders to a performance of the Nutcracker Ballet, and fourth graders to a Link-Up concert by the local symphony. These trips have helped me create my plan for introducing the orchestral instruments. I have until October of second grade to be sure the students can identify all of the Carnival instruments, so I spread those out over Kindergarten and first grade. I continued my plan by adding in instruments featured in the Nutcracker, and then in fourth grade we add in the rest of the major orchestral instruments. I can arrange the instrument posters and names around the room, selecting only those that have been introduced to the students. 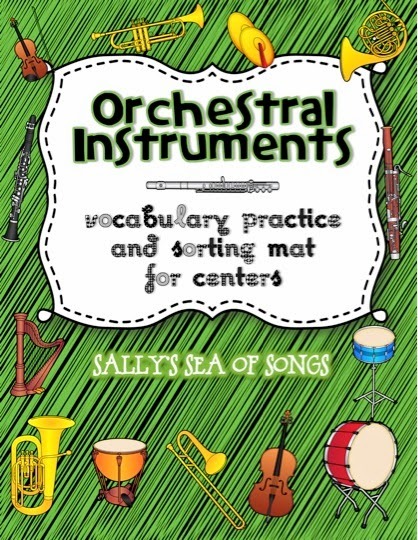 Perhaps you already have instrument posters and don't need to purchase the complete set, or perhaps you might like to try this idea before investing any money in a new resource. 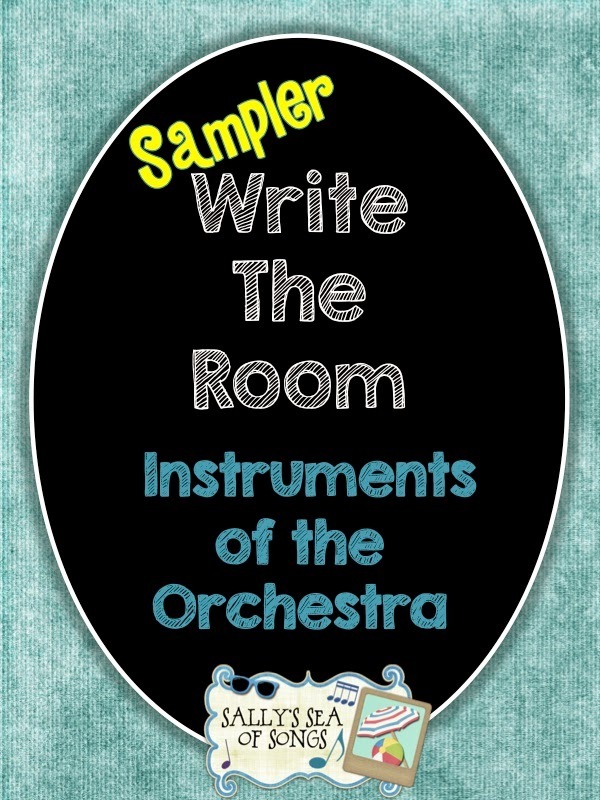 Check out this free sampler that includes 5 write the room worksheets, but no instrument posters. Students love the scavenger hunt aspect of this type of activity! I know I am a bit "old school," but there is something about writing things down that just seems to make that information stick in my brain so much better. I think it works for my students, too. 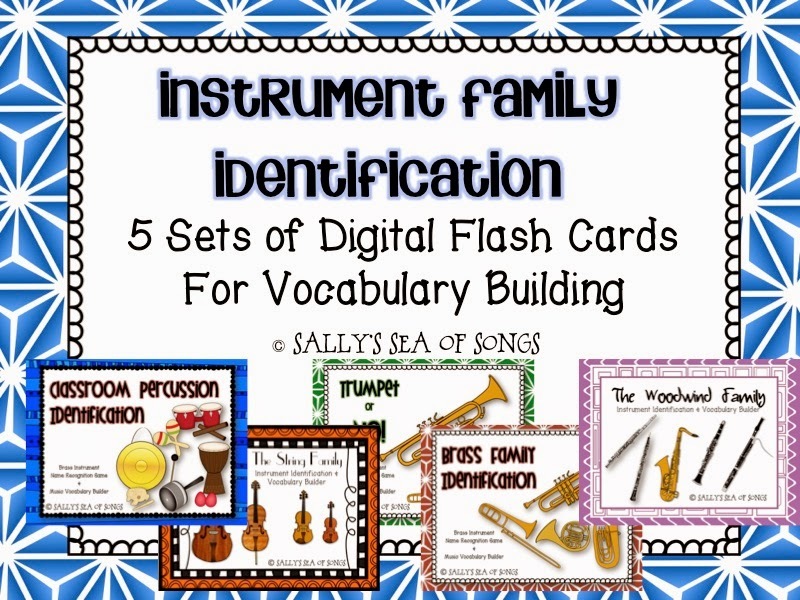 By third grade, we have learned enough instruments to play around the world and team challenge flash card games. These are fast paced, and really test the students' recall. Sorting instruments into families supports the science curriculum when we focus on how instruments make their sound, and how size affects pitch. Classification by common characteristics is also a science process skill. This is how we, as music educators, support other disciplines without compromising our own discipline. 3. Engage ALL of the Learning Modalities to create stronger neural pathways. Visual, Aural & Kinesthetic modalities are all important! It is especially helpful to use single instrument recordings when live performance is not possible. I have found some awesome recordings folk songs played by solo instruments to be very effective, especially in the younger grades. I use these CD's in conjunction with the folk songs that we sing already, along with the visual of the instrument that is playing. I think it helps the students to hear the one instrument playing a song that they know, rather than trying to pick out an instrument from a band or orchestral recording. Aural and visual modalities are easily activated. "Air play" the instruments and draw pictures while listening to activate the kinesthetic modality. Don Gato, You Are My Sunshine, and Simple Gifts are published by GIA Music, and each have 100 FOLK SONGS recorded by a solo instrument with simple accompaniment. That's 300 songs! Don Gato features the string family, while You Are My Sunshine and Simple Gifts feature woodwind, brass and percussion instruments. 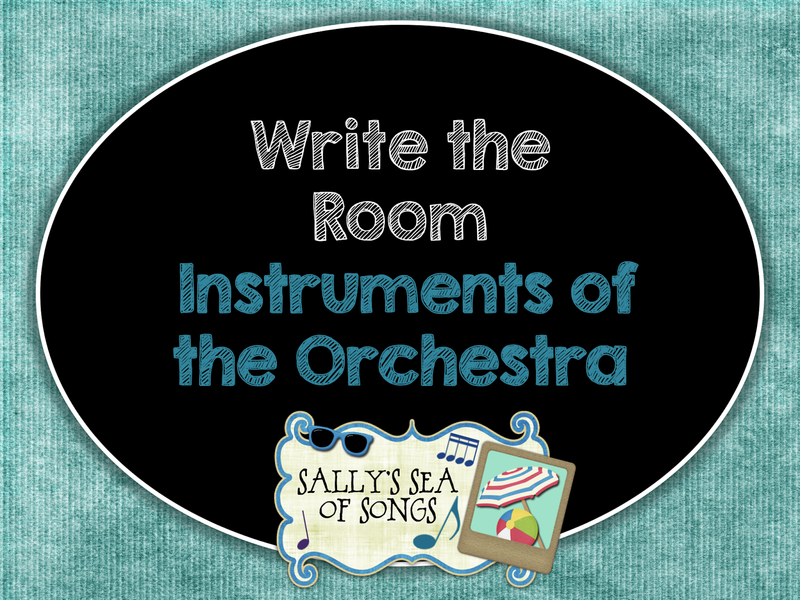 Please comment with your favorite teaching tips to help elementary students learn the instruments of the orchestra!